Borobrygmos Engraged Lands EDH Commander Deck. Cards are in anywhere from Moderately Played (MP) to Near Mint (NM) condition, though most are Lightly Played (LP) or Near Mint (NM). Includes over 100 cards, so you can play how you want. Rares, mythics, and foils, along with some signature EDH Commander cards. Wooded Foothills - Onslaughtish. Ramunap Excavator - Hour of Devastation. Insult // Injury - Amonkhet. Hammer of Purphoros - Theros. Sylvan Scrying - FNM Promo. Also includes a FULL ART Harmonize. Taiga - Revised (SEE PICS). 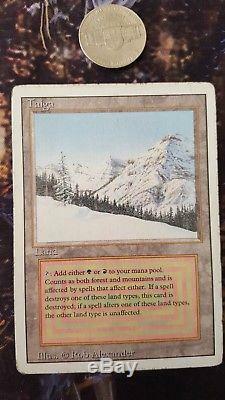 Includes 15 basic forests and 11 basic mountains. The item "FULL Borborygmos Engraged EDH Commander Deck Taiga Wooded Foothills FOILS MTG" is in sale since Saturday, July 28, 2018. 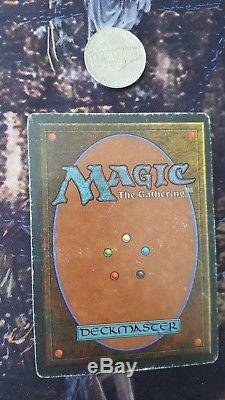 This item is in the category "Toys & Hobbies\Collectible Card Games\Magic\ The Gathering\MTG Player-Built Decks". The seller is "honestdonglass" and is located in Wichita, Kansas.